Half-hour of play for up to eight people: Sat $20; Sun $20; shoe rental $5. Don’t let the venue you name fool you, this isn't just your regular stuck in the 70’s bowling alley. It's way hipper than that of course, it is in Williamsburg after all. It's also an awesome intimate concert venue with good drinks (hey boozy shake) and food (hello Blue Ribbon fried chicken). Their events calendar provide a wide range of entertainment from Rock & Roll to Hip Hop and Family Bowl and Brunch on the weekends. This is definitely one of those places you have to bring your out of town friends to. 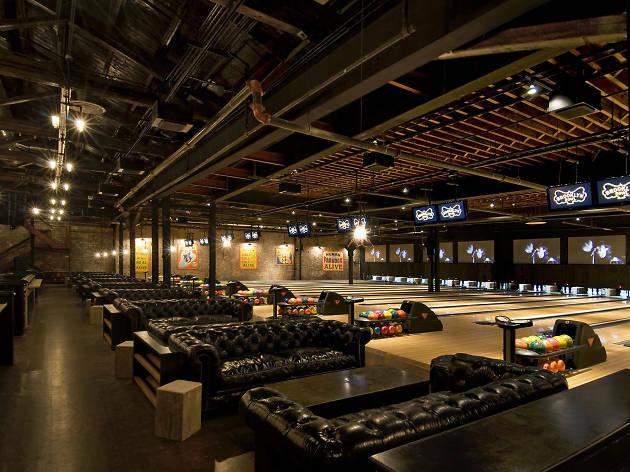 Part bowling alley, part bar, part restaurant, part music venue. All of these parts make for a helluva good time every time I'm at brooklyn bowl. Not too far from the L train at bedford ave so easy access to transportation? Check. Bowl before you eat, eat before you jam, I mean the possibilities are endless. All in all I always have a great time here. The place is so spacious, whenever it's not sold out I go crazy dancing around. Plus if you're bowling you can take a quick break to watch a show because you are RIGHT THERE. And yes, there is a restaurant and heck yes I eat there every single time I go to a show. I show up early just so I can eat there. I hear everything there is good but the fried chicken has me coming back every time. So get up in here and dine and wine and jam and have a good time! 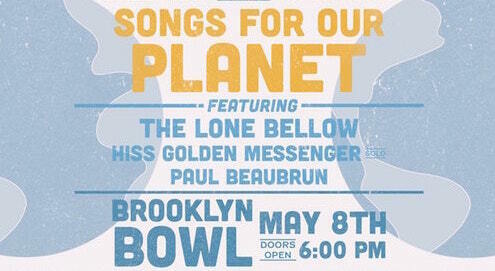 There is something for everyone at Brooklyn Bowl. Don't like bowling? Take in a concert. Hate music? Grab a cocktail. Not in the mood to drink? Try some friend chicken from Blue Ribbon. From the activities to the carnival theme (which isn't overly campy, thank God), this place is awesome for a number of events - parties, DJs (Questlove on Thursdays), concerts, dining, casual drinks, whatever you want. I love that they open the space up for kids on weekend days; I brought my two little cousins last week and we had a blast. 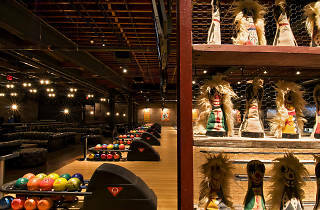 Brooklyn Bowl does it all - good food, good drinks, great concerts, overall, its a great venue and great to pop in every once in a while when you want to get your bowl on. It's really cool to bowl during the shows but prepare to wait for a while - or come early and prepare to dish out a bunch of cash! Seems like anytime you go, there's a wait for bowling but that's because the atmosphere is awesome and the waiter service at the lanes is spectacular! Just don't eat with your bowling hand!!! Really cool spot! I was in a bowling league here for a few years and it was great. We'd bowl, booze, and chow down, all the while with a live band playing behind us. Doesn't get much better than that. Also, like 80% of the time you go here, you will at some point see Questlove. Tasty food, friendly service, concerts and bowling! What more could you ask for? Brunch is great, snacks are great and reasonably priced beer. I also had a celebrity sighting at one of the shows here so you never know who you might see. 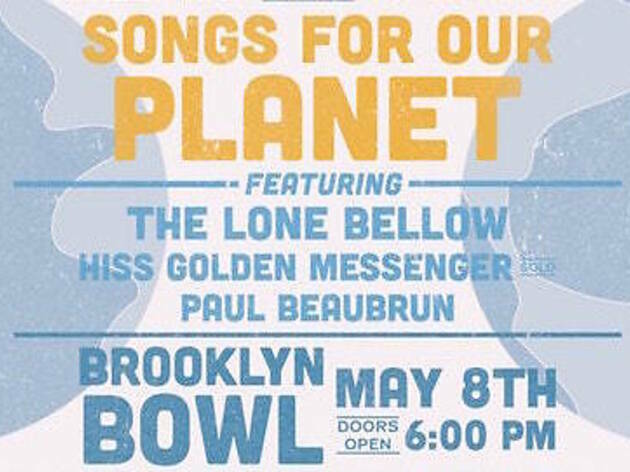 I've been to Brooklyn Bowl on a number of occasions and it's a pretty chill place for a variety of reasons. The food is pretty good, easy place to grab lunch or dinner with typical bar food, good burgers, snacks, etc. It's such a large venue in Williamsburg, and there's literally something for everyone! 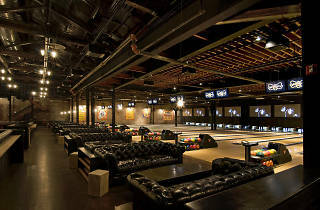 Bowling, big bar area, good size music venue that has great acoustics. Friendly bartenders. Tremendous bathroom area that boasts a large seating/waiting area. I don't come here often enough, it's a cool place for big groups too! Surprisingly, the sound of bowling pins being knocked down doesn't interfere with the live music. Rusted Root played last night and even though the band itself was past it's prime, the venue was awesome. Good crowd, clean bathrooms and decent drinks are a few of the positives. I also second what another reviewer said about the ample bathrooms (a rarity in NYC!). So I have never been bowling here, mostly because it's ridiculously expensive, but I have seen many a band play here and danced the night away. Most recently I saw Little Dragon play, and before that I've checked out the Thursday night parties hosted by Questlove, karaoke nights and, my favorite, dance-off nights. There's usually a nice crowd here, the place is clean and you can grab food at the restaurant area that's actually quite good. Also, something often overlooked, there's enough bathroom stalls for everyone! Don't count on cheap beers or drinks here, but it's a great place to let loose that's not in a stuffy club atmosphere. 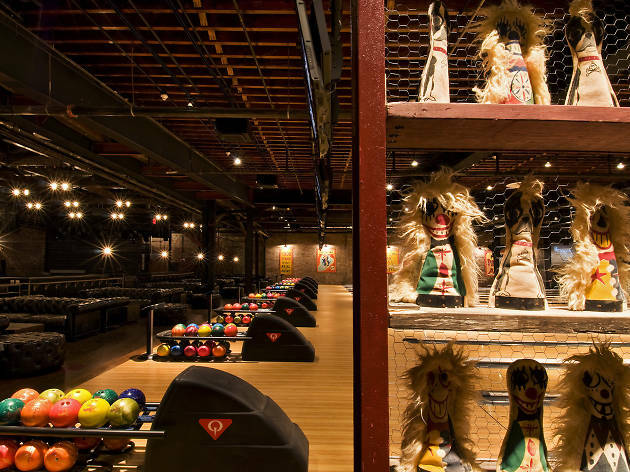 Not only does Brooklyn Bowl serve as Williamsburg's best bowling alley, but Brooklyn Bowl doubles as one of the coolest concert venues in all of NYC. This intimate concert space has played host to some of the most eclectic acts that find themselves in NYC. On any given night you can catch one of the following shows - a Talking Heads cover band, Gene Ween signing Billy Joel, the Trey Anastasio Band, Reel Big Fish, Slick Rick, or even The Dan Band. Also, while other bowling alleys offer Elios Pizza and gross hotdogs, Blue Ribbon serves up the food at Brooklyn Bowl -- have some fried chicken while you're listening to your favorite band.